We’re all breathing a little easier these days. Despite continued media talk about dour economic conditions, there is a certain momentum in the imaging category that is taking shape just in time for the holiday season. And it couldn’t come soon enough. Despite a difficult year, our industry did not rest. There never seemed to be a respite from new product introductions. We’re seeing technology improvements in almost every facet of our business, from software, 3D and HD video capabilities to photo frames, lenses and accessories. We’ve witnessed the birth of a whole new category of mirrorless cameras. We’ve been impressed by new improvements in the capabilities of DSLRs, and we’ve been inspired by point-and-shoot cameras that are practically indestructible. Our editors thought it was important to take a snapshot of our industry, so we asked an array of industry leaders and key influencers to offer their perspectives from where they sit. In this special section, you’ll be able to see our business through the eyes of thirty-three leaders in our industry. We appreciate their participation, and trust that from this you’ll gain a better perspective about the State of our Industry in 2010. For the first decade of the 21st century, non-networked devices like compact digital cameras, as well as MP3 players, were viewed as the “hot” devices to own. Apple’s original iPod and slim compact cameras from Canon and Sony were considered status symbols, as much as they were creating new consumer-driven computing paradigms. While the digital camera space continues to enjoy some growth, particularly in niches like the interchangeable-lens camera segment, it is clear that the “it” device is now the smartphone. While a cannibalistic relationship between phones and cameras has still not come to fruition, this spotlight shift has altered product strategies for camera vendors. Camera vendors have been forced to innovate around HD video capture, waterproofing and merging SLR photography with video. At the same time, vendors have increased their direct-to-consumer marketing (TV ads). How has this played out? For the past nine months the post-recession trend story is a tale of two markets: strong growth in emerging countries, and mature, single-digit growth in the U.S. Continued single-digit growth seems to imply that the innovation strategy is working: compact cameras are continuing to do relatively well, as the percent of DSLR unit volume for Canon and Nikon continues to amount to less than 20% of total units for each. Yet Canon and Nikon are continuing to bolster their bottom lines with increasingly more success in the DSLR space. The urgency of bringing digital photography into the third stage of market development grows each day. Stage One was the technology stage, where the “digital” nature of photography was a major driver. Stage Two stresses the functional benefits of photography that is digital. This is where the camera vendors emphasize many of the new “automatic” camera features and the “simple to use” message. Stage Three will take consumers beyond the mechanics of taking a picture and will bring emotions back into photography. The more emotionally involved people are with their photos, the more likely that they will create revenue-generating products such as photo books. The future offers exciting opportunities along with frustrating perils. Reduced margins cause major retailers to pull back their commitment to the imaging category. This creates opportunities for those remaining committed to imaging. Distribution costs continue to climb, favoring those larger buyers and those who consolidate volume. All parties in the distribution chain remain committed to wringing costs out of distribution. Those major brands with “Apple Envy” will continue to explore ways to go around their traditional retailers both online and in corporate retail stores. The problem of hot product allocation remains with vendor-owned websites getting allocation priorities over retailers. The Millennial generation will be an industry growth driver. They are perceived as being “anti-print.” That’s wrong. They are “image-centric” but not enamored with 4×6 prints. Their ability to embrace new services and new ideas will drive industry growth. New products and innovation will not slow down. Video will be a new growth engine. The industry must provide frustration-free products and education to exploit this potential. Bad video camera sound and video editing opens doors for those brave enough to exploit them. Based on calls I’m receiving, new retailers are opening imaging stores. These newcomers don’t look like the historical store/lab. Pockets of camera growth and accessory opportunities are increasing as consumers invest in more advanced cameras. While beneath overall camera dollar volume levels of 2008, revenue is up versus 2009, reaching 5.7% growth year-to-date July 2010 versus 2009, according to The NPD Group’s Retail Tracking Service. Detachable-lens cameras were the driving segment, up 17% in units and 14% in dollars even from year-to-date 2008, as consumers are increasingly driven by the availability of HD video. Accessories also increased by double digits in dollars from two years ago, including zoom and prime lenses, cases over $40, batteries, tripods and chargers. Opportunities abound for aftermarket accessory sales, but encouraging add-ons at the point of camera purchase is critical: over half of recent DSLR buyers surveyed stated a desire for a bundled solution at the time of camera purchase, the majority wanting a lens, memory card or extra battery as part of that solution, while nearly 40% desired an extended warranty. Detachable-lens cameras haven’t taken a bite out of compact long zooms; both have been increasing, with long zooms reaching 14% of camera units year-to-date July 2010 while DLCs have taken 10%. Mirrorless hybrid cameras, in July 7% of all detachable-lens cameras, could serve as a rising tide to lift all boats. 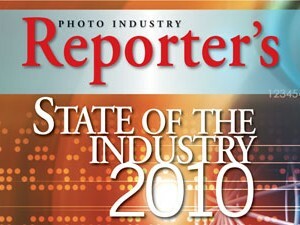 As 2010 began, there were numerous signs of a rebound in the photo-imaging industry. Attendance at the major U.S. professional photography shows reached new highs; there was marked enthusiasm among those with whom we spoke at PMA 2010 in Anaheim, and the PMA Digital Expo 2010 in Melbourne, Australia, attracted a record 23,000 people. However, there was a decrease in consumer printing in the USA during April, May and June. Is this a reflection of the faltering economy? During recent visits to “continental” West Europe and the Asia-Pacific region, we also encountered excitement within the industry, tempered by overall flat sales of output products. In Shanghai, for example, local photo specialty retailers reported a 5% growth in second-quarter business, despite the opening of Shanghai Expo 2010, a six-month “World’s Fair” that is expected to draw 70 million visitors before it ends on October 31. In Europe, some leading photo book makers are already projecting that sales will plateau in a few years. In the U.S., publicly available second-quarter information from a large online finisher shows positive growth, but current customers represented only 74% of sales, and the company is engaged in a major expansion into the wedding market. So, we need to look beyond the numbers. After a difficult year for the overall U.S. economy, the consumer electronics industry was happy to close the doors on 2009. A stronger-than-anticipated holiday sales season left the revenue picture for the industry slightly better than expected however, and CEA’s recently updated Sales & Forecast predicts a 3% growth rate in 2010, bringing total U.S. factory sales of CE products to $175 billion. As household penetration for digital cameras exceeds 80%, it’s no secret the market is largely driven by replacements and gifts. CEA does expect camera unit sales to be up by 2% in 2010, and attributes this growth to the steady incorporation of features such as facial recognition, HD video, information tagging and higher megapixels. Market opportunities for the future lie in several areas. Higher megapixel cameras will steal the show as unit volume for digital cameras with 11+ MP is expected to grow by 82%. Consumers also want to take better photos and easily share them. Features like wireless photo transfer and one-touch uploading to Facebook or YouTube will set cameras apart from the pack. The industry should also focus on photo enthusiasts who, although doubling in size in the past decade, are often neglected from a marketing standpoint. They take more pictures and purchase more equipment than most, so dedicated sections in mass retailers and camera stores would be beneficial. After several seconds of silence, she asked me to explain. I said, “Our industry at the independent service specialty retailer level continues to evolve into a growing, viable one that offers unlimited opportunities for those who provide unique, customized products along with legacy products that continue to be in demand. Image capture and archiving may have moved from the caves at Chauvet and Lascaux in France to personal products, photo books and Facebook pages, but neither is going away soon. IPI members are astute fighters in terms of growing their businesses and managing their profitability. IPI has close to 30 years of history in assisting members in providing opportunities for increased profitability via our cooperative nature, and we will continue our focus on that legacy. IPI will augment that strategy with one that provides opportunities for members to grow sales and increase profits with marketing initiatives. The first step was the rollout of the IPI Marketing Solutions Program, and to say it has been well received may be the greatest understatement of the year. The U.S. economy is into recovery and heading to expansion. Growth will be moderate but should not be mistaken as a double-dip recession. A majority of 42 economists surveyed by the AP believes the economy remains on track. The year’s GDP will grow between 2.5%–3.00%. Economic indicators foresee a stronger growth in the second half of 2010. Innovation is the driving force here. Much of the growth is attributed to 3D TVs, smartphones, Blu-ray players, eReaders and tablets. Due to heavy household penetration (82%) and no major innovation for digital still cameras, it is expected this category will decline 3% in unit shipments this year. 3D technology will be a growth opportunity in the coming years, with 6 million 3D TV sets expected to ship in 2010. The following are highlights of the latest developments in 3D imaging technology: Panasonic debuted the first Full HD 3D TV in April 2010; Fujifilm introduced the first 3D digital still camera without the use of glasses, the FinePix Real 3D WI in 2009; the world’s first 3D camcorder, the HDC-SDT750, was launched by Panasonic in July 2010; Nvidia 3D Vision image-processing software and Sony NEX-5 and NEX-3 cameras turn standard 2D into 3D for 3D TVs; Sharp created a 3D camera module for mobile devices that captures 3D video images in 720p HD; Shapeways offers full-color 3D printing; Sony introduced the first Cyber-shot 3D cameras, the DSC-TX9 and DSC-WX5, with a single-lens system using a sweeping motion. New beginnings are in the air as we head into our all-important holiday period. While 4×6 prints are down, new personalized photo products are gaining ground. We hear frequent reports that cards and photo books are up, and posters are exceeding expectations. It appears consumers are truly beginning to access the breadth of products we anticipated. Why now? First, demographics are having an impact. Millennials, the largest U.S. population segment, are entering the workforce en masse, forming households and beginning their child-rearing years. We expect a 23% increase in the number of mothers in the next three years—that’s 10 million new moms! With offices, houses and nurseries to decorate, print enlargements are in demand. Boomers, the second largest demographic, are entering a picture-intensive phase of life—celebrating milestone birthdays and anniversaries, and their children’s graduations, engagements and weddings. There will be first grandchildren and, sadly, memorial services. They are also inheriting millions of family photos. Today, digitally savvy Boomers are discovering that collages and photo books are the perfect way to tell their story. Second, retail has reemerged as the destination for photo. Having won the home vs retail challenge for prints a few years ago, retail is now gaining share from online pure plays as consumers prefer to pick up at retail. Recent research conducted by Fujifilm shows consumer preference for photo books made at retail. Why? Beyond fast turnaround, consumers want the control they have at retail. They know they get knowledgeable advice, in-person reviewing, meticulous processing, high-quality results—and they can negotiate the delivery time and withhold payment until the job is completed. Just Reflect on how far photography has evolved during its 170+ years. It’s gone from two-dimensional black-and-white glass plates to roll film, color film, digital capture and output, and the latest trends—3D and Micro 4/3-format cameras. At the processing end, we’ve gone from regional B/W wholesale labs, regional wholesale color labs, mass-merchandiser captive labs, film manufacturer-controlled national wholesale labs, independent one-hour labs, mass-merchandiser one-hour labs, online services and click and brick Internet print services. Throughout this evolution, PMA has adapted to changes by addressing the needs of an ever-changing marketplace. Now, in response to the most recent changes, PMA has expanded its reach to include the broadest spectrum of industry participants. You will see these changes reflected in a positive way during our upcoming educational events, conventions and business product/services. PMA 2011, from September 8–10, 2011 at the Las Vegas Convention Center, will feature activities for our traditional retail trade audiences as well as content of specific interest to the photopreneur and photo enthusiast, including access to the trade show floor. While this expanded format may be new to the U.S., PMA (working with our partner, the Photo Imaging Council of Australia) has provided this type of event annually for a number of decades. Our most recent Melbourne show drew over 20,000. The autumn dates for PMA were prompted by changes in industry buying cycles and technology developments. 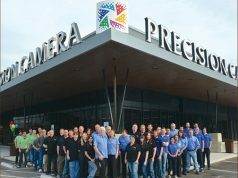 PMA member retailers and service providers welcomed the change and can now use the largest annual photo-imaging show and conference to find products and services that will make the holiday season a success. Canon’s long-term strategy focuses on providing our customers with the best, most advanced imaging solutions available. Beginners, hobbyists and professionals can rely on Canon to deliver a wide variety of first-rate products at reasonable prices, as well as industry-leading after-sales support. We’re optimistic that the strong momentum established in 2010 will extend through the holiday season. There are several encouraging signs, including the fact that DSLR and accessory sales are at an all-time high. Image quality, ease of use and affordability continue to improve, along with the popularity of 1080p Full HD video. Canon is well positioned to capitalize on this trend with the largest selection of Full HD SLRs and interchangeable autofocus lenses on the market, including the exciting EOS 60D DSLR and EF 70–300mm f/4–5.6L IS USM zoom lens. We’ve also expanded our range of Full HD video camcorders, including the advanced XF professional models and the popular Vixia series for amateurs and enthusiasts. There are more HD-compatible PowerShot compact cameras than ever, headlined by the SD4500 IS Digital Elph, with a 10x optical zoom and Full HD movie capture. On the output side, we’re excited about the new Full HD movie print feature on our latest Pixma inkjet printers, including the MG series all-in-one models. And EOS customers can produce exhibition-quality, archival prints up to 13”x19” with the Pixma Pro9500 and Pro9000 Mark II printers. Marketing and Product Planning, General Imaging Corp.
As we move into 2011, the digital camera market will continue to deliver increased levels of power, performance and advanced features consumers have come to expect. With most established markets, the customer is expecting to pay less for newer models, while receiving more features and benefits. Our consumer-focused research in the point-and-shoot market has uncovered core values shared with the GE digital camera brand. Today’s consumers are looking for a refined combination of features and technology that are easily accessible and not overly complicated to use. During one focus group we found a person asking, “Is a 5x MP better than a 12 megapixel zoom?” This type of specification-driven confusion can cause average consumers to choose the wrong camera and ultimately result in underwhelming pictures and an even more frustrating consumer experience. At General Imaging, our mission is to provide cutting-edge cameras that are simple to use and provide the best pictures possible for today’s point-and-shoot photographer. Staying focused on the customer point of view is paramount in continuing to develop and refine our line of GE cameras, while still maintaining an exceptional value. It has never been more important for consumer electronics to fit today’s lifestyles, add to the quality of life and not become a hindrance. Leica is fortunate that both our legendary brand image and the unique quality of our products place us at the forefront of three key marketing trends in imaging: the increasing sophistication of serious enthusiasts and professional photographers; photographers’ demand for ever-higher image quality; and the greater priority now placed on acquiring investment grade equipment of lasting value. We were particularly gratified at the enthusiastic reception of the full-frame Leica M9 among the legions of committed Leica fans that spurred its development, and also among the highly respected members of the photographic press who hailed it as an outstanding technical achievement. The successful launch of the German-made Leica M9 (rangefinder camera) and Leica X1 (a high-performance large-sensor compact with a Leica form factor and superb prime lens) in the space of a single calendar year is unprecedented. It is not an understatement to say that this signal achievement has brought renewed excitement to loyal Leica customers and Leica dealers worldwide. Rapid consumer adoption of new technologies has made it a very exciting time for the digital imaging business. This is great for our industry because those who embrace the opportunity to deliver value and support to consumers transitioning to DSLRs will create sustainable DSLR and accessories growth. One driver of DSLR growth is digital media. Content creation and sharing through social networks has become mainstream. Consumers share billions of personal images and videos each month with much larger social circles and the public via sites like Facebook and YouTube. With the inclusion of HD movie in affordable and consumer-friendly DSLRs like the D90, the industry’s first with HD movie, the D5000 and new D3100, we predict it will impact the camcorder market as cameras replace traditional video capture devices. A second factor is that DSLRs no longer intimidate mainstream consumers. They understand the performance, speed, quality and system expandability offered by entry-level models, as evidenced by the strong sales volume of Nikon D3000 and D5000 cameras. While DSLR sales are robust, Nikon will continue to evaluate the market and develop products to meet consumers’ needs in the future. Appealing prices for feature-rich DSLRs and manufacturers/retailers who educate consumers about DSLR capabilities are also driving growth. Whether hiring knowledgeable sales teams or offering content and workshops for enthusiastic consumers, retailers have a chance to create strong consumer relationships and sustain growth for ongoing purchases of lenses and accessories. Marketing, Olympus Imaging America, Inc. The imaging industry is filled with both opportunities and challenges. The challenges are often what drive innovators like Olympus to develop technologies and products to better satisfy market needs. The compact interchangeable-lens or “mirrorless” space has seen tremendous growth (up 188%, YTD). Olympus’s share, with its PEN family of products, is over half of the total business in this category at 63% (YTD), and a great example of Olympus’s ability to listen to the market. Other opportunities for growth and leadership are in the Stylus Tough and underwater categories. These categories have seen 25% growth (YTD). Olympus’s share in this category is prominent at more than 50% (YTD), leading with the Stylus Tough series known for its innovative shockproof, waterproof, freezeproof and crushproof features. In 2011, Panasonic will continue to drive the excitement and awareness that was built around the Lumix brand. This year’s print and television advertising—in addition to other experiential marketing campaigns—has been extremely successful and a great platform for Panasonic to reach a wide variety of consumers, explaining the value of Lumix digital cameras: take professional-quality photos, without being a professional. Panasonic Lumix digital cameras will continue to innovate and offer outstanding image and lens quality—resulting in beautiful photos and videos. In 2011, Panasonic will maintain that leadership both with its point-and-shoot line and the Lumix G series, Panasonic’s DSL Micro cameras. Beyond high-performing image quality, Panasonic strives to make Lumix cameras extremely easy to use. Not all consumers are “photographers” by profession, but when combining Lumix image quality with intuitive use, their photos may suggest otherwise. With the point-and-shoot Lumix models, Panasonic will continue to innovate with its long zooms, improved autofocus speeds and fast start-up times. On the other side, the Panasonic Lumix G series comprises small and lightweight interchangeable-lens cameras that can take powerful photos but are still easy to use. However, consumers will buy cameras, even at premium prices, if the product combines features, design and a user experience that makes their purchase seem more personal, fun and rewarding. With many shoppers putting off purchases, we need to ensure that cameras are still high on their “need to buy” list and not crossed off in favor of the cool CE devices coming into the market. At Pentax this year, we focused on unique camera offerings. We totally redesigned our latest adventure-proof camera, the Optio W90, and are pleased with the positive reaction to the W90’s look, feel and performance. We also increased the color and style quotient in our I-10 and H90 models to counter a growing consumer perception that many compacts are dull, silver boxes. The K-x in all its colors allowed us to differentiate Pentax in the SLR segment. Its success confirmed that many consumers think color should be an option with SLRs, just like it is with their CE devices and compact cameras. More importantly, the color K-x models increased our sales to consumers who had not owned a Pentax before. Our industry continues to react to ever-changing market demands and evolve based on current economic conditions, which both remain difficult. To combat these difficult times, Sigma plans to remain true to its founding principle of delivering a wide selection of quality photography products that are competitively priced. Technology and innovation will continue to drive this diverse market. DSLRs are more affordable and accessible than ever, and our consumer base varies from very serious pro shooters to amateurs and hobbyists. To ensure we fulfill the needs of this growing audience, Sigma will continue to provide consumers with the largest selection of high-quality lenses, which boast unique features and an extraordinary value. For example, as the company that produced the first wide-angle lens, Sigma recently introduced its latest creation—the 8–16mm f/4.5–5.6 DC HSM lens, now the widest lens on the market. We also introduced FLD glass, delivering performance equal to the more expensive fluorite glass. The FLD glass can be found in the newly introduced 17–50mm f/2.8 EX DC OS and the 70–200mm f/2.8 EX DG OS HSM lenses. The use of the Foveon chip in our SD15 and DP cameras produces images of the highest quality with deep, rich color, pushing the envelope of camera technology. We will continue to introduce products that fill voids in the market and push the technological envelope, while keeping quality and value top-of-mind. Overall, the imaging industry appears somewhat recession resistant, with growth stabilizing in categories that have previously seen declines, and significant growth in areas that appeal to new and repeat buyers with new technologies and form factors. All in all, it’s a great time to be a consumer in the digital imaging space. 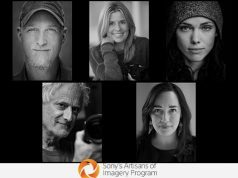 At Sony, we are redefining the imaging arena with innovative digital imaging technologies and products. Examples of this include better picture quality under difficult lighting, Full AVCHD video capture, faster shooting speeds, easier sharing of photos and videos through social networking, and the creation of personal 3D content to enjoy on 3D TVs. In the compact camera segment, Cyber-shot models can rapidly capture and combine many images into a single photo, solving challenges involving low light, wide dynamic range and wide-angle view that have always limited compact cameras. In the interchangeable-lens camera segment, NEX-5 and NEX-3 cameras bring large-sensor performance and interchangeable-lens versatility to a smaller form factor never before achieved, while providing still and Full HD video capture. And Translucent Mirror technology, as in the Alpha A33 and A55, has transformed SLR structure to realize shooting speed and handling advantages unmatched by other DSLRs, while maintaining the affordability and ease of use required to appeal to a broad range of consumers. In the camcorder segment, the new Bloggie Touch makes it easier to share high-quality photos and videos by uniquely blending product, software and services. To help enthusiasts discover their passion for filmmaking, Sony’s NEX-VG10 is the first to offer the benefits of a large image sensor and interchangeable lenses to the consumer camcorder space. We believe constant improvements in performance like these will encourage consumers to replace older models, allowing them to derive greater value from imaging. It’s been amazing to watch the spread of photography—of cameras and personal technology in generally—over the last several years. Is there anyone out there these days who isn’t carrying a camera, a cell phone, a music device, a laptop or an iPad and who knows what else around with them wherever they go? Something else we’ve noticed is the increasing emphasis on individualization. Most of us get caught up in the popular trends, of course. But we also want to distinguish ourselves from the crowd somehow—even if we’re keeping one foot firmly planted in the “comfort zone” of what the group likes. The photographic industry parallels the PC industry. Earlier I worked as a marketing manager at Intel, and there I saw tremendous change as PCs grew ever more powerful and became the standard platform for computing. Amazingly, in some key ways the imaging industry is even more dynamic than the PC industry. The PC industry is driven by Moore’s Law (named after Intel’s Gordon Moore), which states that the number of transistors on an integrated circuit doubles approximately every two years. This exponential explosion of computing power allowed the PC to swallow first the mid-range computer and eventually even supercomputers. When I started working with Craig Strong as cofounder of Lensbaby seven years ago, I saw the digital SLR as the PC of imaging, with its capabilities growing so fast (partly driven by Moore’s Law) that medium-format and even large-format cameras were threatened. Like the PC industry, the increasing installed base of DSLRs allowed a vibrant ecosystem of software and hardware accessory makers to flourish, which in turn provided ever greater creative options for DSLR users. Yet, an interesting thing is happening in the camera and the computing industries at almost the same time—smaller, more mobile platforms such as smartphones and mirrorless interchangeable-lens (MIL) cameras are becoming so powerful they will challenge the reigning champions, the PC and the DSLR. Photo and video-enabled digital SLRs have changed the way shooters capture content, as well as the digital photo landscape. Not only are camera manufacturers making high-definition (HD) video capture a standard feature in many DSLRs, but the cameras are better suited to record video through previously unavailable features, like video autofocus. The advancements in memory cards—speed, class ratings, capacities—have also played a key role in the evolution of DSLRs for both manufacturers and end users. The cameras require the latest generation of memory solutions to match their capabilities, and consumers need the flexibility to switch from still to HD video capture and back again on the fly, without interruption. While capacity and minimum speeds are still concerns for shooters, the crux of the issue is reliability. Without highly reliable, versatile cards, users will not have the ability to capture quality images and video. The number of people purchasing DSLRs with video capture capabilities is likely to continue growing, and it is our goal to continue to provide the memory solutions needed to use these cameras confidently. It’s no question these tough financial times have had an impact on our industry. Consumers have been forced to cut back and reassess their purchases, as their bottom lines are just as important as ours. Times are changing, however, and as the industry improves it brings with it new digital imaging technologies that present the accessories market with significant opportunity. These technologies, specifically the mirrorless interchangeable-lens category of cameras, are reshaping the industry. Consumers who once were too intimidated by the complexity of a DSLR are now stepping up to these systems. Mirrorless cameras have inspired consumers to embrace photography and explore their creativity, as now they can experience the image quality and flexibility that was once only available in a DSLR. different. Photo specialty dealers must offer the guidance and unrivaled expertise that’s synonymous with the specialty level, and most important, educate them regarding the most appropriate support products and accessories they can leverage to enhance their experience. The past year for OmegaBrandess has been an interesting road. We started out as two companies, OmegaSatter and Brandess-Kalt-Aetna, and merged together in January into OmegaBrandess. Strategically this merger created two objectives for us. The first was to integrate the two companies’ product lines, filtering out duplication and identifying lines to go forward with; and the second, ever-present objective was of bringing on new product lines that will carry us forward as a distributor of photographic accessories. As it has been in recent years, the driving force behind most product decisions we make is the continued explosion of the DSLR market. In many ways, the popularity of DSLRs has made old accessories new again. Old standby products like filters, cap keepers, straps, flashes and bags are once again selling well. However, it is the advances in DSLR features and functions, particularly the advent of HD video capability, that are fueling the major growth going forward. This has resulted in adding products like Zacuto camera supports, TorchLED lighting equipment and Blue Crane Digital DVD titles that deal specifically with DSLR video. We will continue to expand this category with solutions for better sound and image quality for the “new” video camera. There is a saying here in Chicago, “If you don’t like the weather, wait 10 minutes.” There is much about this statement that can apply to the photo industry. For those of us who have been in this industry for a while, this comment sums up the past 10 years. “Change” is an understatement for everything photo. PromarkBrands consists of five brands, four of which are 50 to 136 years old. They’ve weathered industry change along with our strong dealer base. What continues to make us strong in today’s challenging climate is the conviction of our employees, from ownership to the production floor. While other manufacturers felt the economic pressure to manufacture overseas, we have strengthened our USA manufacturing hold by building a state-of-the-art facility in the Chicago area. Our customers recognize this commitment, and they continue to support our brands even in the toughest business climate. Though cheaper goods flood the lighting market, we have been able to keep our identity strong through consistent manufacturing processes and tight quality controls. The benefits are endless to manufacturing here in the U.S., and we have the ability to respond instantly to our retailers, consumers and our OEM partners. We’ve seen signs of recovery starting with the successful WPPI and PPA shows earlier this year. We see not only a new crop of emerging photographers investing in equipment but also the seasoned pro returning and reinvesting in their businesses again. We see a strong contingency of pro photographers doing what every good business is doing in this challenging climate—reinventing their approach and keeping one step ahead of competitors by offering new creative imaging styles. Cameras and camcorders are more sophisticated than ever before, offering advanced features that let consumers produce high-quality photos and videos. High-definition (HD) video capture is now a standard feature on new DSLRs, and megapixel counts have reached very impressive levels. 3D cameras and camcorders are also hitting the market, and consumers have shown a great deal of interest in this kind of content. These advanced features produce massive files. A single RAW+JPEG image can reach up to 32 megabytes in size, and just a few minutes of Full HD video can produce more than a gigabyte of content. As a result, imaging enthusiasts need memory cards with a special combination of speed, reliability and capacity. Faster speeds mean more opportunities to capture the winning shot and less time spent offloading gigabytes of content afterwards. High-capacity storage lets consumers shoot confidently without running out of space, while long-term reliability provides them with peace of mind that their files are safe. Tak Inoue, President and CEO, Tamron USA, Inc. In today’s imaging market, many consumer electronics companies have joined the SLR arena. With that comes the power to really expand the penetration of the DSLR, and therefore contribute to the growth of the coveted photo enthusiast segment of the market. These companies are also challenging traditional SLR designs and are paving the way with cameras featuring mirrorless and Micro 4/3 designs. And this leads to benefits and opportunities for market participants. On the other hand, product lifecycles have been drastically shortened, making it more difficult for some consumers to make purchase decisions. Accustomed to longer product lifecycles, consumers expect that their camera purchase should last for some time. But with technology changing so quickly and products replaced so frequently, some newcomers to the SLR market are fearful of making what could be a costly wrong decision. However, lots of choice can also be viewed as a very good thing for the consumer. Additionally, new products and technologies moving at such an incredible pace are hard for the consumer, and even the store sales associate, to follow. As a result, market participants need to work together to provide user education. We view that as one of the most important actions to be successful in the current market. Geoffrey Lewis, President, WYNIT, Inc. Think back. Photo specialty retailers were pretty happy in 1990. The business of producing images for both professionals and consumers was fueled by repeat sales of film, Polaroid, processing, printing and chemistry. Right about that time, Canon introduced the XapShot—an “affordable” still video camera priced just under $1,000 that stored 50 snapshots on a 2-inch diskette. In the span of 20 years, the technology foreshadowed by the humble XapShot has completely transformed our industry. While the “film to electronic to high-res digital file” evolution has systematically changed what it means to be in this business, it’s still all about how to capture, store and share images. These images preserve moments in time, create moods, evoke emotions and celebrate life. Photography has been and continues to be a kind of magic. Human beings value “magic,” and the products that will enter the market over the next 18 months will have no shortage of the “wow” factor. DSLRs are delivering broadcast-quality video. Flash memory is steadily replacing tape. Cameras provide one-touch upload to social media sites. Compact point and shoots create 12MP files sharp enough for 48-inch wide prints. The tsunami of digital photo creation and the mercurial rise of online sharing shouldn’t dampen optimism about the future of photo printing. Research analysts are forecasting 30%–40% growth in creative photo services—upward to $12 billion in 2013. This growth is evidenced by a number of factors: traditional photo labs are increasing their breadth of products and services; commercial printers are targeting traditional photo markets to expand their customer bases and sell premium pages; new online companies are integrating photo services; and retailers are expanding their photo services to include a broader range of premium photo products. These trends are driven by the ever-changing needs of today’s “Digital Consumers,” who are telling their life stories through billions of digital photos and trillions of video frames each year. Digital consumers want services “how, where and when they want it.” They also want personalization, customization, high-quality content, ease of creation and exciting new ways to share. The price/quality/gratification mix for these consumers ranges from low-cost photo mementos to higher end keepsake options to professionally produced heirloom products and business-grade publications. It’s no secret that the photo-imaging industry has undergone dramatic changes. In the past, consumers and retailers were dependent on the 4×6 print, but today the industry has diversified—mostly into personally printed products such as books and calendars. This diversification has changed consumer behavior, and as a result, the printing industry as well. This poses difficult decisions for retailers since many of these personalized products require offsite production. Because creating items like a mug or high-quality book is more complex than fulfilling an order for prints at a kiosk or in-store, Fujifilm’s strategy is to offer retailers and consumers as many on-ramps as possible. For example, consumers can now order photo products in many ways: from their home computer for at-home delivery or in-store pickup, at the kiosk and soon by phone. By offering as many on-ramps as possible, consumers will be encouraged to print more. And because retailers and consumers are no longer dependent on the 4×6 print, retailers must decide what equipment to purchase and what specialty products to offer. By offering multiple print technologies—inkjet, silver halide, xerography and dye sublimation—Fujifilm has maintained a healthy printing business that supports our retail partners’ different business strategies. Each year, I am more excited about the future of imaging than the year before. That holds true today as we continue down the path toward an imaging industry that is more reflective of the Internet, where it’s all about exploration, creation and social interaction. We remain a storytelling industry, but the industry’s own story is more compelling each year. Lucidiom has been building technology solutions for the industry that directly address consumers’ growing desire to create and share. In 2010, our first year as part of the Noritsu family, we’ve proudly launched two award-winning software solutions—APM 7.5 and Photo Finale Web 7.0—which provide the consumer with seamless in-store, online and on-the-go transactions while also putting 24/7 profit potential in the sights of retailers. APM 7.5, our latest kiosk software, boasts profit-builders like bundled prints and premium content surcharges. Our white-label website, Photo Finale Web 7.0, brings the effortless kiosk experience online for customers looking to create and place orders both in-store and online. Lucidiom retailers also now can keep customers updated on the go by offering our Pocket Pics iPhone app through their Photo Finale website. The best way to gauge the state of the photo-imaging industry is to examine the tools used by professional photographers, as they continue to evolve to fit the needs of the modern-day photographer. Looking at tools like the Mitsubishi CP-9810DW and CP-3800DW photographic printers, it’s clear that technology is becoming more affordable. It’s also becoming more portable, while becoming more durable. And, of course, like many other industries, today’s imaging industry is becoming greener. The advances in technology have allowed photographers to change the way they do business. Professional photographers are now more mobile, are able to accommodate a more diverse client base, and offer a greater number of services. Overall, they are able to do more with less and increase earnings as a result. Because of this evolution, there is a developing trend toward higher quality with immediate availability, which is expanding the market. This is where Mitsubishi Digital Electronics America fits in. People come to MDEA because they are seeking the kind of service, support and cooperation that we provide. While the economy is improving, consumers remain careful about what they spend money on. It is therefore critical for companies to continue to look for ways to add greater value to their products. As a software vendor, Roxio’s role is to help our customers—camera manufacturers—deliver more value by creating innovative applications and services that embrace new technologies and excite consumers. Confident that 3D will reshape the imaging industry and completely redefine how we capture and enjoy personal media, we introduced Roxio VideoLab 3D. The product offers a comprehensive feature set for capturing, editing, creating and sharing personal 3D photos, videos and projects, allowing camera manufacturers to deliver a far more complete out-of-box experience. Understanding the competitive nature of the imaging market today and shrinking manufacturer returns, we also introduced PhotoShow Express, an innovative client application that empowers users to compose highly personalized multimedia stories that can be shared on disc or via e-mail and social media sites. PhotoShow is an important part of our solution mix, not only enabling our partners to differentiate themselves with creative functionality that builds on the high interest in social networking, but also allowing them to generate new revenue streams.